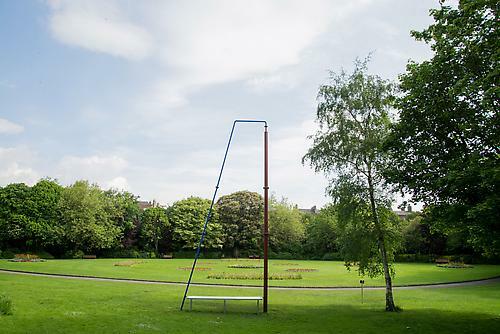 This is the first time that a curated festival of contemporary art will be held on Merrion Square. Included in the festival will be events such as a temporary sculpture exhibition, music events, a satellite exhibition and walking tours held during May to September. The festival will also conduct The Square School a series of workshops given by artists for children which will be held over the course of the festival. The festival is supported by The Arts Council, Dublin City Council and Goethe-Institut Ireland. 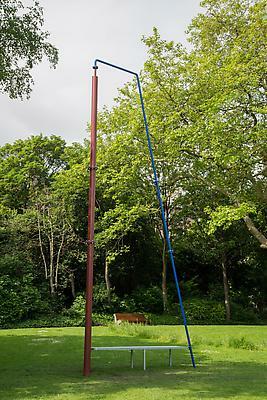 “In commissioning works by Aleana Egan, Daniel Gustav Cramer and Eva Rothschild to be displayed in Merrion Square park and its principal surrounding cultural institutions. This iconic Georgian square has an amazing past, including close ties to significant figures in Irish literary and political life such as Oscar Wilde, W.B Yeats, Daniel O'Connell and Bram Stoker. There have been many exciting cultural events in the Square’s history as well, not least The Great Exhibition of 1853. Somehow Vestibule is evoking the stories of the people who frequented this architecturally preserved square by using temporary sculpture and events to harness their energy", says Tunney. 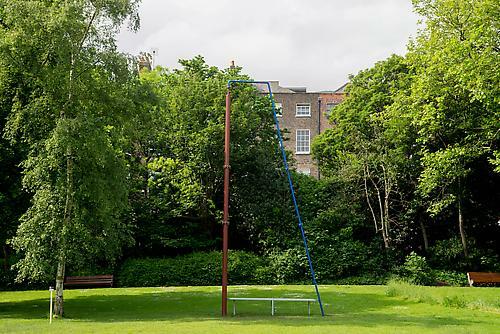 Internationally acclaimed artists Aleana Egan (IRL), Daniel Gustav Cramer(DE) and Eva Rothschild (IRL), will present major temporary sculpture works and a satellite exhibition which will activate Merrion Square and its institutions. Vestibule is an architectural term which typically refers to a small room or hallway between an entrance and the interior of the building or house. The vestibule acts as an ante-chamber between the exterior and the interior structure, between city and nature- a space in which to consider and reflect. Merrion Square is a democratic natural space within the city, which allows for the freedom of movement and play. It is an enclosed site that acts as a gallery but also as an apolitical sphere open to possibilities.